Insomnia is a sleeping disorder which causes difficulty in falling asleep. People suffering from insomnia can suffer from weakness, blurred thinking and difficulty in falling asleep. Types of insomnia include primary insomnia and secondary insomnia which have a varying effect on different people. Insomnia has many reasons which include significant life stress, discomfort emotionally or physically, certain medication can also cause difficulty in falling asleep. Snoring, restless legs syndrome, sleep apnea or depression can also cause insomnia. Although Valium (Diazepam) is often prescribed to patients with anxiety disorders, it has proven its effectiveness as a short-term relief for insomnia. The efficiency of Valium as a sleeping agent has been positively established, though only for short periods of time, because a patient using Valium for a long time has a tendency to develop tolerance to the drug and hence reducing its effect. 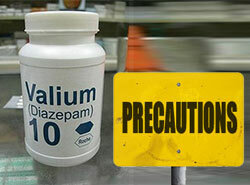 Valium (Diazepam) is effective by working on the GABA receptors. The nerve cells store GABA in the nervous system and the brain. GABA acts as a natural ‘nerve-calming’ agent that keeps the nerve activity balanced in the brain. This relaxes the muscles and calms the mind. And since Valium increases the activity of GABA, it automatically increases the calming effect and thus, helps to attain a sound sleep. Doctors sometimes advise the patient to have Valium with other sleeping agents like Ambien to treat chronic insomnia or narcolepsy. How to take valium effectively for insomnia? To help suppress insomnia, Valium can be effectively consumed by patients, by strictly following the prescription given to him by the doctor. The pill must be taken as an entire tablet orally and not be crushed. Valium (Diazepam) should not be taken with alcohol, sleeping medications (unless advised by the doctor otherwise), antipsychotics drugs, Baclofen, and other benzodiazepines as it can lead to an increased risk of heavy drowsiness and sedation. Valium should not be taken with caffeine or theophylline which is known to reduce anxiety and the sedative effect of Valium. 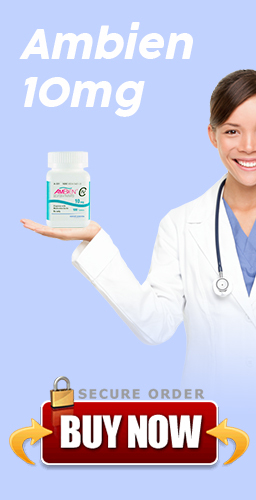 It is advised to not take this medicine if the patient is allergic to any of its ingredients mentioned. Also, if an allergic reaction is observed in a patient, medical assistance should be sought after immediately. Valium belongs to a class of drugs called benzodiazepine which have sedative effects, muscle relaxation, and decrease anxiety. Using Valium (Diazepam) for insomnia can be effective in the short term but there are many possible adverse effects for this type of medication, such as addiction, withdrawal symptoms, daytime drowsiness or feeling sleepy or tired. Breastfeeding or expecting women need to make sure to inform the doctor as Valium can harm the health of the baby. Also, while taking Valium, women should be sure to use birth control to avoid pregnancy as it can lead to severe complications. The side effects that are known to be associated with Valium are mostly drowsiness and lightheadedness the next day. A person can also experience confusion, shaky movements and unsteady walk, loss of memory, dizziness, blood disorders or even jaundice. If such symptoms are observed, the patient should seek medical help immediately. Though allergic reactions to Valium aren’t very common, symptoms like rashes, swelling of the face, throat or tongue, breathing and any other unusual sign should not be taken lightly and should be reported to the doctor as soon as possible.